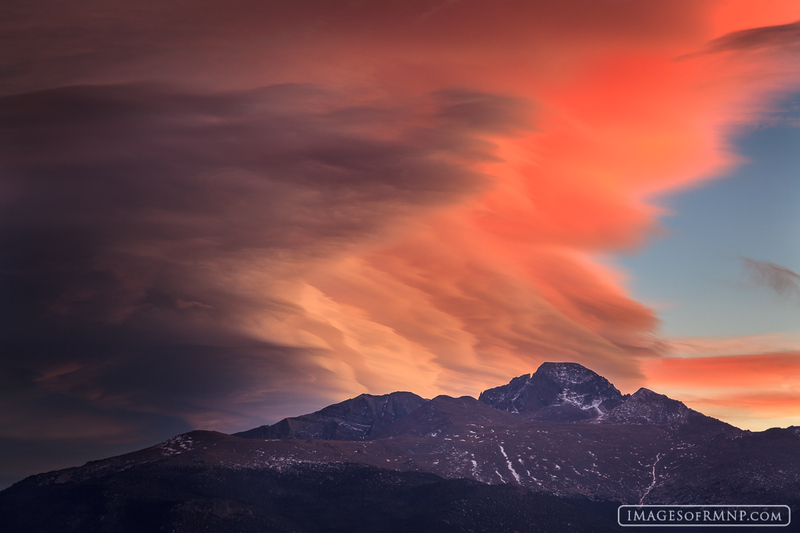 On a windy November evening, lenticular clouds began to develop over Longs Peak. I knew that when the sun finally set that they would come to life and so I headed out to Upper Beaver Meadows and enjoyed the dramatic show. Photo © copyright by Erik Stensland.